Shenzhen's Shangri-La Hotel (Shenzhen Xianggelila Dajiudian) is an internationally managed five-star hotel known for its high service standards and modern facilities. 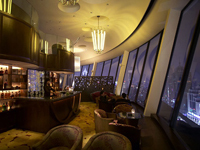 The Shangri-La is conveniently near the Lowu border crossing into Hong Kong and Shenzhen's railway station. All Shangri-La rooms and suites offer state-of-the-art facilities and many boast views of the green hills of Hong Kong's New Territories. The popular hotel restaurants and bars serve a range of dishes and beverages. 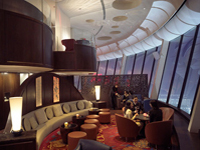 Choices include the American Grill and Japanese, Pan-Asian and International cuisines. Recreational options include a state-of-the-art gymnasium, outdoor swimming pool and sauna. The hotel business center provides a full range of secretarial and translation services. 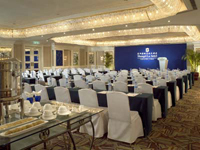 In addition, a ballroom and six multifunction rooms feature audio-visual equipment, performance space, a dance floor and a karaoke system.